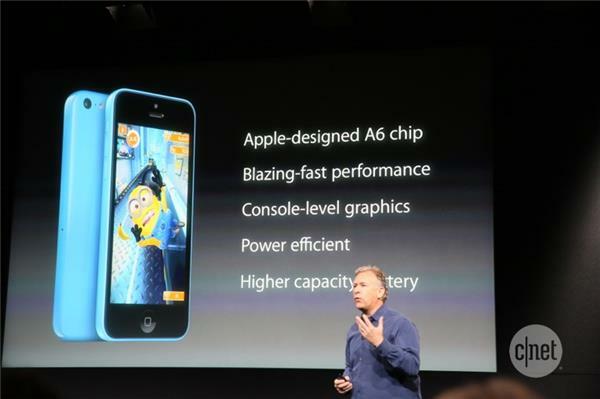 It's got an Apple A6 chip. 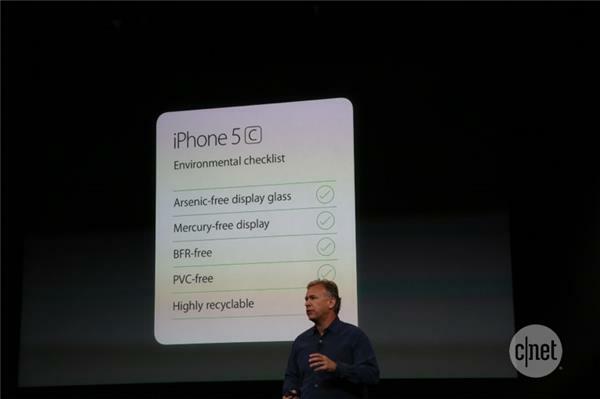 Has a slightly larger battery than that in the iPhone 5. 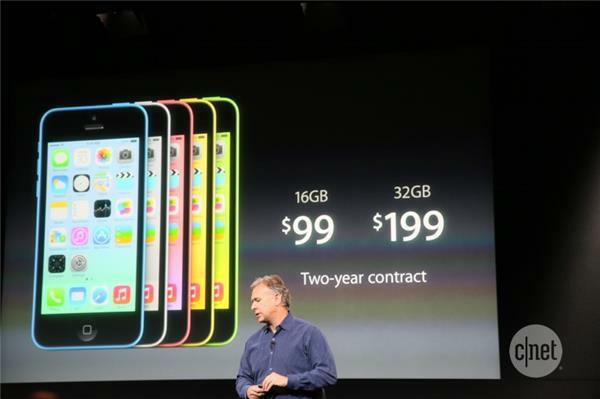 16 gig, $99 with two year contract. 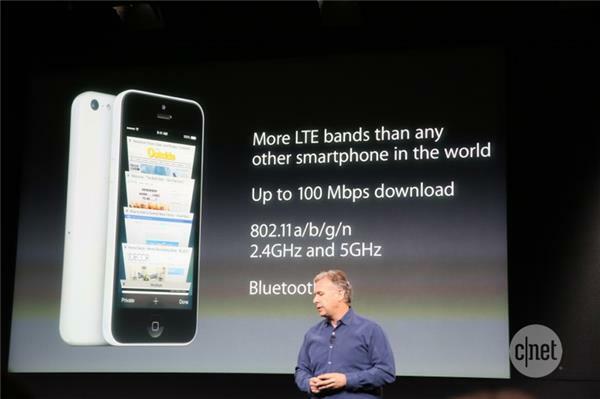 "We believe the iPhone is an experience, and an experience is defined by hardware and software working together harmoniously." 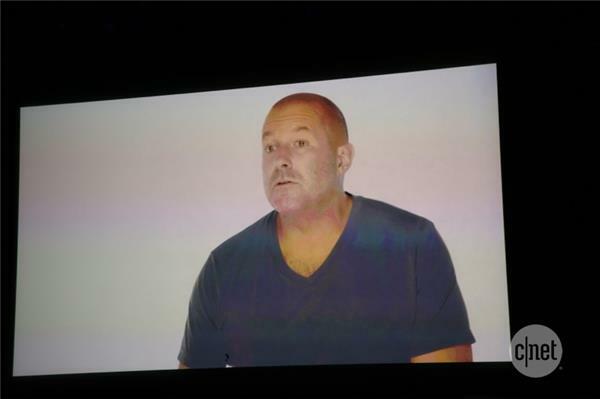 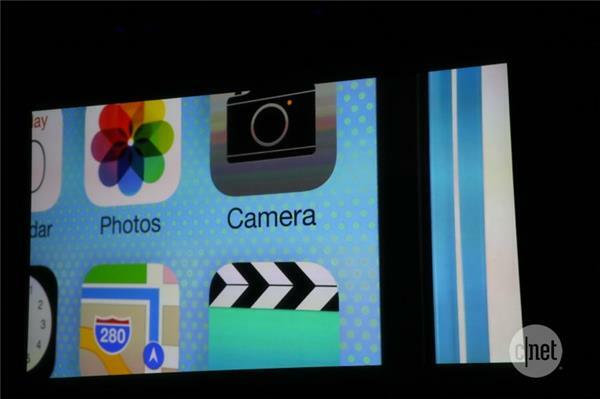 He's talking about "dynamically blurring the boundaries" between the two. 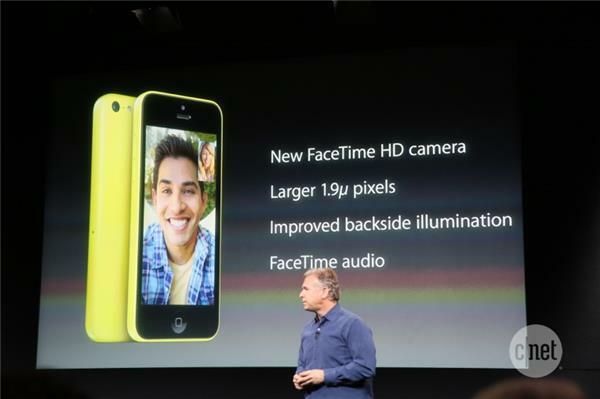 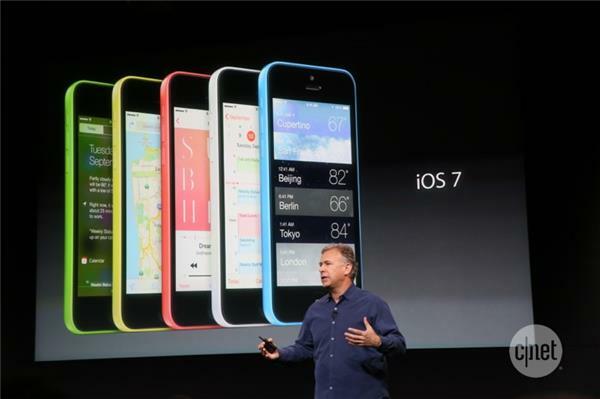 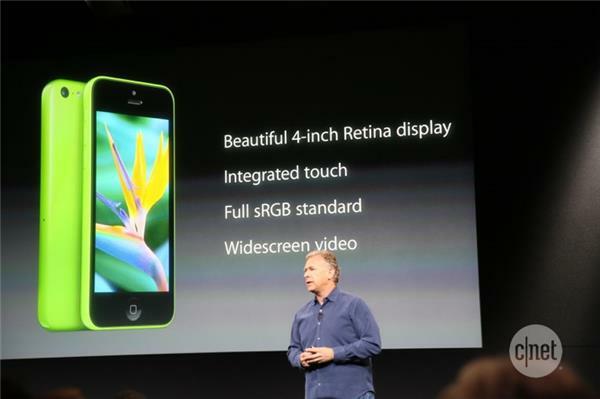 "iPhone 5C is beautifully, unapolgetically plastic. 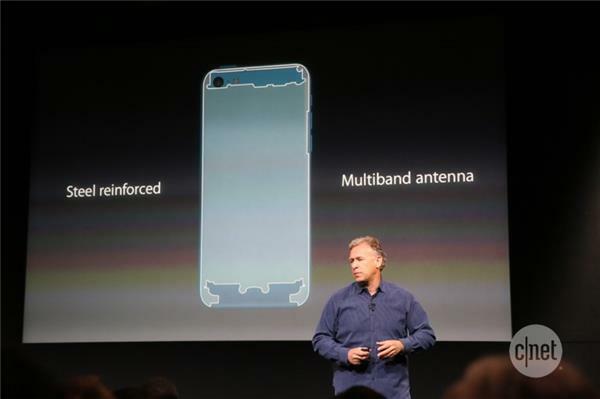 Multiple parts have been reduced to a single polycarbonate component whose service is continuous and seamless. 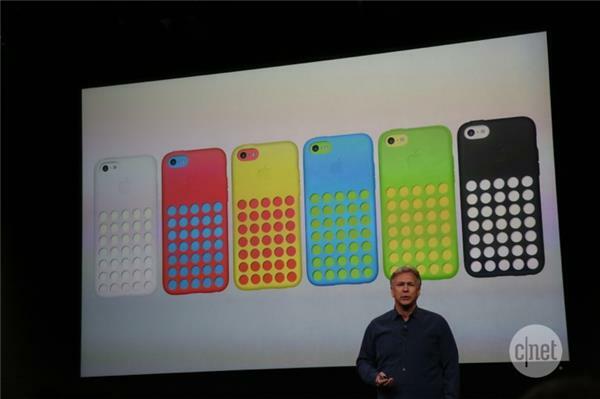 So, instant thought: the cases make the design a lot cooler. 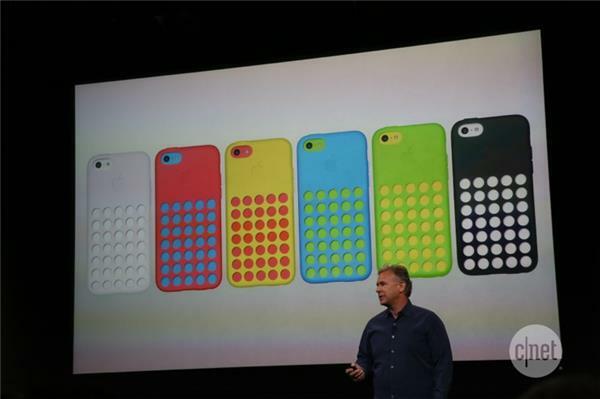 Could add additional Moto X design stylings. 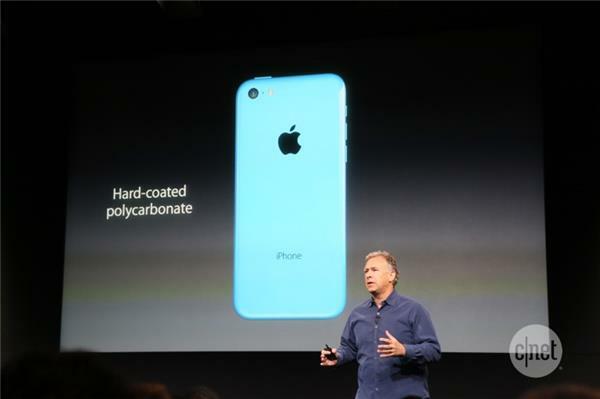 I think a lot of people are going to want this one (the 5C).